Great Staff. Great basic continental breakfast. Very clean room. The location is great, only 5-10 minutes walk from the attraction of the Three Sisters and the main part of town is only 15 minutes in the other direction. 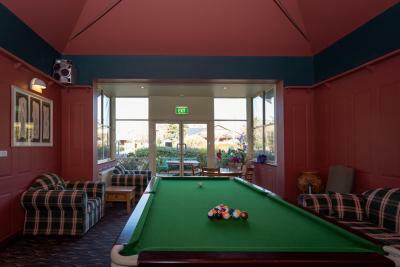 The location (10m walk to Three Sisters sunrise lookout), the car park was spacious and there was a billiard table free of charge. Good value accommodation rooms were clean and close to sights. A charming old building, the rooms were comfortable. There was a cozy lounge area, a guest fridge and microwave. 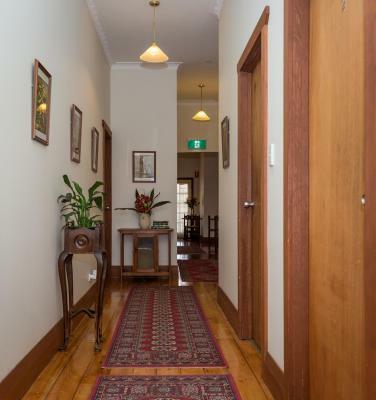 Quaint private triple room with ensuite in historical home. Close access to Blue Mountains hiking trails. I liked the simplicity of the place. It made me feel part of the area. It was great for relaxing after a whole day exploring the mountains. The room was clean and cute and the bed was comfortable. The location was very good. There are tea and coffee making facilities in the room (oddly stored in the cupboard under the sink in the bathroom and I only found them by chance). There is also a hair dryer in the room. Belgravia Mountain Guest House This rating is a reflection of how the property compares to the industry standard when it comes to price, facilities and services available. It's based on a self-evaluation by the property. Use this rating to help choose your stay! 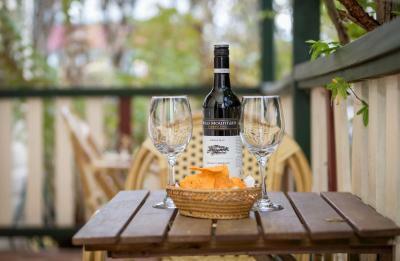 One of our best sellers in Katoomba! 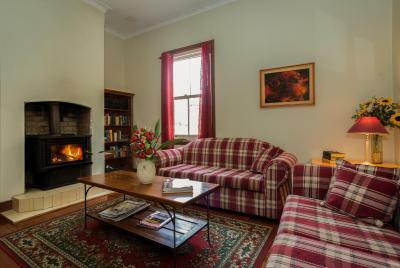 Located in the heart of the Blue Mountains, just 10 minutes’ walk from the popular Three Sisters tourist site, Belgravia Mountain Guest House offers heated rooms and a guest lounge with a fireplace. 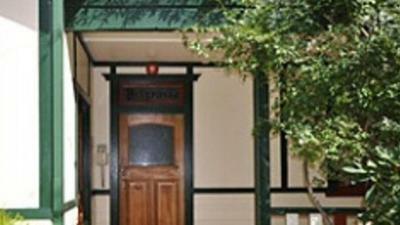 Belgravia Guest House is just 650 feet from the famous Blue Mountains Chocolate Factory. 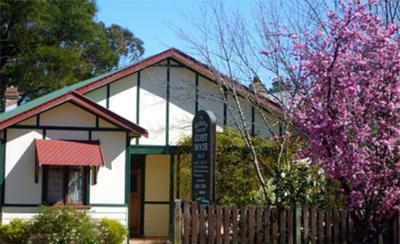 Scenic World, the Katoomba Waterfalls and the Jamison Valley are all within 15 minutes’ drive. 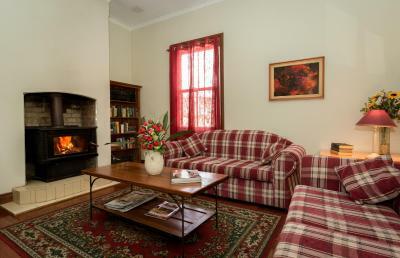 The guest lounge offers comfortable sofas, tables and chairs and a small book library. 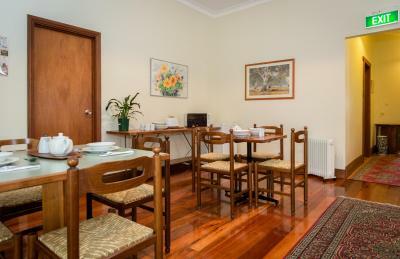 There are several restaurants and shops within 15 minutes’ walk of the property. 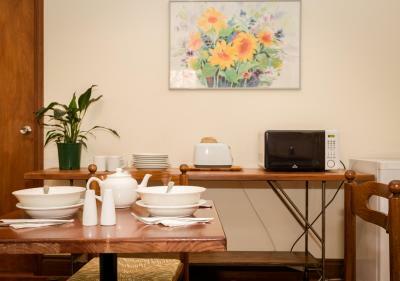 All rooms feature a TV, tea/coffee making facilities and an private bathroom with a shower and hairdryer. Bed linen and electric blankets are also provided. 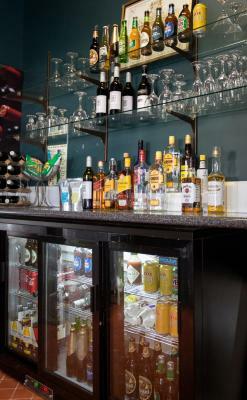 Guests can enjoy complimentary continental breakfast. 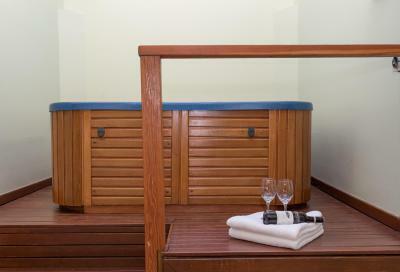 Guests of Belgravia Mountain Guest House have access to facilities next door including a spa, sauna, bar, breakfast and dining room. 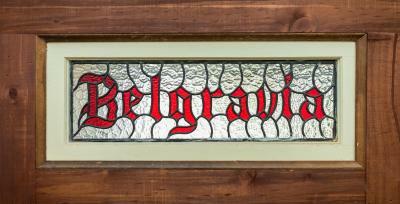 When would you like to stay at Belgravia Mountain Guest House? 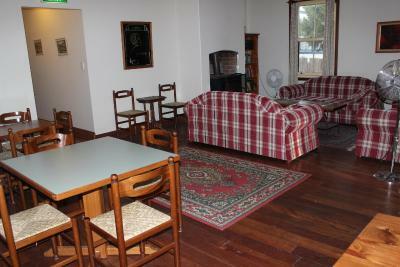 This room features a TV, tea/coffee making facilities and an private bathroom with a hairdryer. Complimentary light continental breakfast is included. House Rules Belgravia Mountain Guest House takes special requests – add in the next step! Belgravia Mountain Guest House accepts these cards and reserves the right to temporarily hold an amount prior to arrival. Please note that reception is located next to Belgravia Mountain Guest House, at La Maison Boutique Hotel, 175 Lurline Street, Katoomba. Please note that Belgravia Mountain Guest House does not accept payments with American Express credit cards. If you expect to arrive outside reception opening hours, please inform Belgravia Mountain Guest House in advance, using the contact details found on the booking confirmation. Please note that for 'breakfast included' accommodations, the breakfast provided is a light continental breakfast. The breakfast ends too early. It could be extended till 11 am. They could sell water. The receptionist was very rude and very unfriendly and I really was not made to feel welcomed. I was freezing in my room. They had one little heater that was not adequate for heating that room on such a cold night. I got the extra doona/duvet out of the cupboard and it didn't have a cover on it and it was stained. I was a little disgusted but had to use it as it was such a cold night. They don't provide electric blankets for the beds. 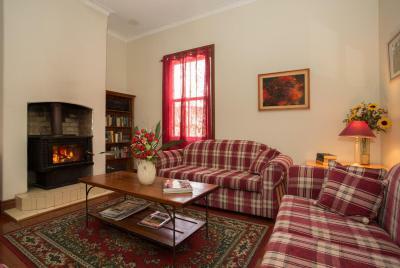 Comfortable guest house room with good warm shower and welcome complimentary light breakfast. 25-minute walk into town centre eateries, but ‘Pins on Lurline’ restaurant just across the road was extremely good. In the room I was given, water oozed out of the wall above the shower, and there was giant black mould on the bathroom ceiling and walls. The smell of mould made the bathroom and room almost uninhabitable, and a severe health risk. The mould got into my clothes, and I had to wash them thoroughly when I returned home. - Breakfeast was very bad. Just toast bread and butter. No cheese, no ham, no veggies. Very disappointing when you pay 95$ per night. - Sleeping blanket was dirty. It had weird stains. - Bar was completely empty. We couldn't buy beer from shelf as it is 'display'. What is there to display if fridge was empty? Mould in the bathroom, an exhaust fan would be a good addition! No eating utensils in the sitting room, had to walk across and request everything from reception at La Maison. Bed was very comfortable and warm, shower water was hot. 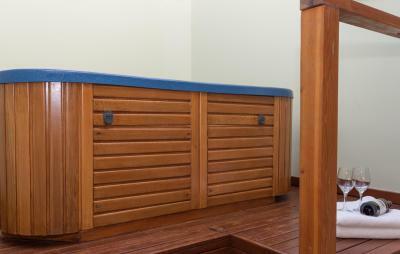 Photos on the website show a much nicer and larger place than we experienced. Our room was pokey and small; there was mould on the bathroom ceiling; the adjoining lounge/dining room had a microwave and kettle, but no sink area to wash dishes or to get water. Advertised Spa & Sauna was not working - lady kindly turned on the sauna for us, but it was nothing special, and spa was broken. Breakfast was adequate - cereals, fruit and yogurt, toast and tea/coffee. It was within walking distance to the Three Sisters. It was too cold and all heaters off. - Belgravia isn't actually the main hotel, it's a side property attached to "La Maison" which is where you have to go if you want to find the wifi, pool table, dining hall, guest lounge, ... - globally, the hotels (both Belgravia and La Maison) are in a very dilapidated state (see my pictures) : peeling paint, holes in walls, torn dining chairs, ... - we arrived at 2PM and still had to wait 30min for our room to be ready ... - there was only 1 staff member in the hotel (probably the cheapskate owner), hard to find, unpleasant, and unhelpful - spa and sauna are out of order until further notice !!! - no WIFI in the room, and my 4G wasn't working neither ... - room so dusty that it caused me a strong allergy (and I'm normally not sensitive to dust) - very cold room, 1cm gap under the doors that let the freezing air come in, the tiny portable heater can't do much against that - electric blanket doesn't work - very thin walls, you can clearly hear the traffic and/or neighbours - the bed rolls away from the wall - so irritating - you have to manually stop the toilet from flushing ... - shower has no curtain (!!!) so the bathroom is flooded whenever you have a shower ... - tea/coffee making facilities are not available in each room, that's a lie ! - dining hall for breakfast was freezing (6°C !!!) : all the guests were wearing coats/parkas ... the fireplaces (in the dining hall or the guest lounge) are never on !!! 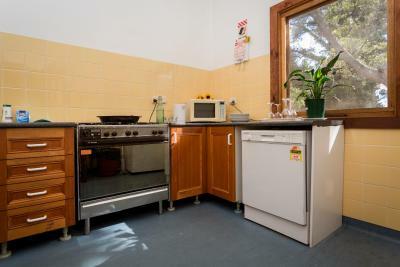 - the shared toilets were in disgusting state : rubbish on the floor, skid marks, overflowing bin, ... - the breakfast is actually not complimentary as you have to pay more when you book if you want it ! And trust me : it definitely doesn't worth your money ! 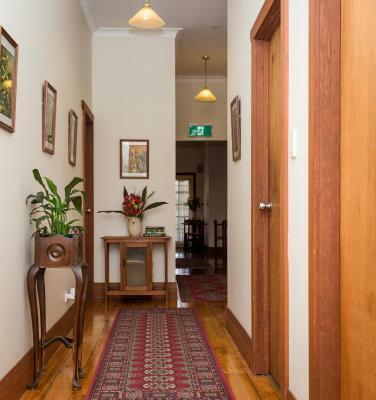 You can't go wrong by chosing any other place in the Blue Mountains, Belgravia was a nightmare from A to Z.
Mould in bathroom, no exhaust, noisy fanheater,dripping tap, no fridge in room.